When selling a property, it’s always wise to use an estate agent – the advantages are simply too numerous. Real estate agents help you close the deal in a shorter amount of time, help you with the legal issues, give invaluable advice, and are often able to secure buyers that are willing and able to pay fair value (or above that) for the property. However, choosing the right estate agent for you and your property is no easy matter, and can seem like a tricky process in and of itself. One way of saving yourself thousands of pounds is by hiring an online estate agent. But can you trust them, and how do they work? 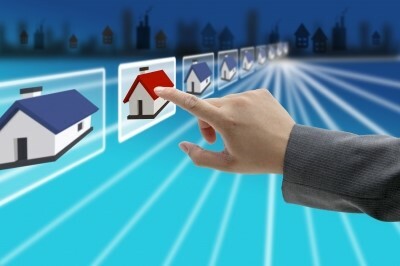 Here are the most important benefits of online estate agents you should know. This is by far the most important advantage you will ever get from the online real estate agent: you have to spend only a fraction of what it would cost you were you to employ the services of a traditional real estate agent. The difference is no joke: the traditional real estate agent usually charges around 1 to 2.5% of the selling price of the property (not yet an added 20% on that for VAT); the online estate agent is a lot less demanding and provides you with the services for a fraction of the traditional costs. Because of the technology that is available, online real estate agents can cast a wide net and hence attract many potential buyers. Traditional real estate agents are often limited to their own smaller networks and connections, which is a disadvantage for them. You don’t have to leave it all up to the estate agent – you can present your home when you want it, to whom you want it, and in a way you want it. You have a lot more flexibility when it comes to viewing times. If you have vowed, “I will sell my house online!” then an online estate agent can give you great advice and assistance. Most online real estate agents may negotiate, but they will always inform you about offers and you will always have the final say. Arguments can be brought on in favour of high street real estate agents – they do indeed do more of the work, though it may be hard to find one who really works in your interests and does his or her best to meet your demands. The fact is that they charge very high fees and the result certainly isn’t guaranteed. If you want to save money, feel that the various platforms of online real estate agents give your residence plenty of exposure and would rather meet potential buyers personally, then the online real estate agent is perfect for you.